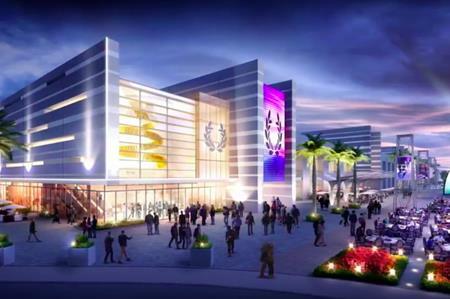 Caesars Entertainment has announced plans to develop Caesars Forum, a huge $375m conference centre in Las Vegas. Caesars Forum, set to open in 2020, will include the world’s two largest pillarless ballrooms and 300,000sq ft of meeting space. This will include two 108,000 sqft ballrooms, two 40,000 sqft ballrooms and state-of-the-art boardrooms, to accommodate over 10,000 delegates. There will also be a 100,000 sqft outdoor plaza. The total meeting space will be equivalent to more than five American football fields, and will be located east of the Las Vegas Strip with bridge connections to Harrah's, LINQ and the LINQ Promenade. "Consistent with our restructuring plans, Caesars Forum is the first installment of our growth strategy for the benefit of Las Vegas and our employees, which will also help meet the increasing demand for group business meetings of all sizes," said Mark Frissora, president and CEO of Caesars Entertainment. "With its mid-strip location and state-of-the-art design, the Caesars Forum will be the ideal location for anyone looking to host meetings and events in Las Vegas," said Bob Morse, president of hospitality with Caesars Entertainment.